What is my responsibility as a business owner soliciting in Louisiana? Businesses wishing to engage in telephone solicitation of residential subscribers within the state of Louisiana must do so in compliance with the LPSC Do Not Call General Order. Regardless of the size of the company or the number of employees, business must first register with the program and obtain the register to prevent making any calls to Louisiana DNC consumers, unless those calls are expressly permitted by an exemption. This register will contain the telephone numbers of consumers who choose not to be solicited, and have registered with the program. To ensure compliance, all telephone solicitors should obtain a copy of the Louisiana Public Service Commission regulations ( LPSC Do Not Call General Order ) pertaining to the Louisiana "Do Not Call" program, and make certain their company operates in compliance with the regulations. What if my company is registered with the National Do Not Call Program? Compliance with the provisions of the National Do Not Call Registry does not preempt registration requirements for the Commission’s Do Not Call program. Solicitors are expected to be in compliance with all state and federal laws. Where the LPSC Do Not Call program does include in its registry all Louisiana consumers registered with the National Do Not Call Program, it does not at this time provide to the National program any information regarding registrations. How do I obtain a copy of the "Do Not Call" register? To obtain a copy of the register, solicitors must complete an application, and pay the appropriate registration and list fees. (Common costs related to registration range from $800 for an independent registration, to $1700 for a Principal registration with a minimum number of dependents) This amount includes the registration fee and the cost to obtain quarterly copies of the "Do Not Call" listing. Registration is valid from January 1 to December 31 of the registration year. What information will be on the "Do Not Call" register? The listing includes the telephonic number and the zip code when available, but not the names or addresses of residential telephonic subscribers who do not want to receive telephonic solicitations. Are business numbers listed on the register? No. Only residential subscribers are allowed to participate in the program. How often should I update my copy of the register? The Louisiana Public Service Commission will be updating the "Do Not Call" register on a quarterly basis. Therefore, it will be necessary for businesses to update their solicitation lists as frequently to match these updates. To make this possible, each quarter the Louisiana Public Service Commission will deliver to your business an updated register by E-mail or CD-ROM. After receiving the updated register, you must update your solicitation list by the first day of the subsequent quarter. Can I make copies of the register and distribute them? No. Each business soliciting in Louisiana is responsible for securing and maintaining its own official version of the register. Does the law apply to companies located outside of Louisiana? Yes. The law applies to all telephone solicitation regardless of origin whereby calls terminate within the State of Louisiana. What happens if I violate the law by calling someone on the register? 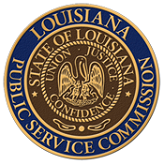 Businesses who unlawfully call numbers on the register will be in violation of Louisiana Public Service Commission's "Do Not Call" Regulations and will be subject to fines up to $3,000 per violation for residential telephonic subscribers over the age of sixty-five and up to $1,500 for all other residential telephonic subscriber violations. An additional $10,000 fine may be assessed to businesses that make solicitation calls without first registering in compliance of the LPSC Do Not Call General Order. What happens if someone submits a complaint against my company? Once a "Do Not Call" complaint is received, the LPSC "Do Not Call" staff will investigate to determine the facts of the alleged violation. This investigation may or may not lead to a citation being issued. More information can be found by clicking on the following document: Complaints: What do I do? How long does my current registration status last? The Louisiana Public Service Commission "Do Not Call" program accepts telephonic solicitor registrations based on the calendar year, January through December. The year’s registration expires on December 31 st, regardless of what date you completed registration to the program and began receiving your register. Who should I list as my “contacts” when registering my company? The Louisiana Public Service Commission "Do Not Call" program requires four company designations when registering a company with the program. The “Designated Contact Person” is the primary company contact with the LPSC DNC program, and is the only person that is allowed to make changes to your account information for the company. Our office will contact this Designated Contact Person if any questions or complaints are generated regarding your company. The Designated Contact is also the person that receives any re-registration information issued for new calendar years. The “Designated Emergency Contact” is an email address that will get notification regarding a State of Emergency called by the Governor, and any subsequent effects to solicitation. Only one email address is accepted for this designation, however, it is not uncommon for a company to use and email address within their organization that has multiple employee distribution to ensure internal notification. The “Service Process Agent” is the official registered agent for service of process, or someone who will accept service of legal documents on behalf of your company. If your company is domiciled in Louisiana, or has a state office, you may choose to have a company representative for this contact. If your company is domiciled in another state, you may contract with a service to perform this duty for you. The “Deployment” is either an email designation or a name and physical address (continental United States only) where the LPSC DNC program will send the register data via instructions to download the information or the actual cd that contains the register. A company may choose to use one person for all contact designations, or a combination of several people to handle these duties to best suit the needs of the company, however only one contact designation will be accepted for each contact issue. How do I change my Contacts? At any point in the year the Designated Contact Person can update any of the contact information with written instructions (via email or letter.) Even if there is a need to designate a new Designated Contact Person, the original contact should simply let us know who the new authorized Designated Contact Person for the company would be. Occasionally, the Designated Contact Person is no longer available within the company to reassign their duties, and in those instances the company must submit a letter on company letterhead, describing first the circumstances (termination, illness, etc) that prevent the original contact from continuing their duties, and then authorizing a new Designated Contact Person for the company, and updating or confirming contact information for all other contact designations. Do I need to provide a surety bond or Letter of Credit to register? The Louisiana Legislature in its 2006 regular session passed Act 418 that changed the previously mandated financial security requirements relating to telephonic solicitor registration with the LPSC Do Not Call Program. In October 2006, the Commission’s LPSC Do Not Call Program General Order was amended to reflect this change. Although solicitors are permitted to file a surety bond or letter of credit in conjunction with their registration to the program, it is an option at the discretion of the solicitor, and is no longer a requirement for registration to the program.